Read Proverbs 18:21 and Matthew 12:33-37. The tree is our heart. The fruit is our mouth. Jesus teaches that, if your heart has truly changed at salvation, then your mouth will also be changed. There is right to free speech, but that does not mean you can say anything you want, whenever you want and not give an account to God for it. We have freedom of speech, but words are not free. Words have consequences. You need to be careful about what you say to your spouse, children, friends, and anyone! Words may cost you your relationship with people. We must give an account to God for every idle word! There is a higher law than the laws of the Country. Let Psalms 141:3 be your prayer and Psalms 39:1 be your life. It is possible to sin with the tongue (Proverbs 12:18). The Bible says, Like a person with a rifle shooting at people, we put stabs and jabs in our words (Proverbs 26:18-19). Jesus said, ‘Out of the abundance of the heart, the mouth speaks’ (Matthew 12:34). If we are saying it, it means it is already in the heart! Jesus compared words to fruit, fruits come from trees. Trees have roots – what is at the root of the words we speak? We tend to lie to ourselves thinking that words disappear. The truth is they don’t disappear! James 3:5 “… the tongue can start a fire…” Words can wound for a long time. Now, bad words last, but so do good words. See 2 Timothy 1:3 and 5. Paul is saying “I am building a monument of words before God.” Words cost, but words can be an investment with people. God is vitally interested in what we say, how we say it, how much we say and why. Be an encourager. Build people up! Words hurt, but they can also heal. Words last, both the bad and good words. 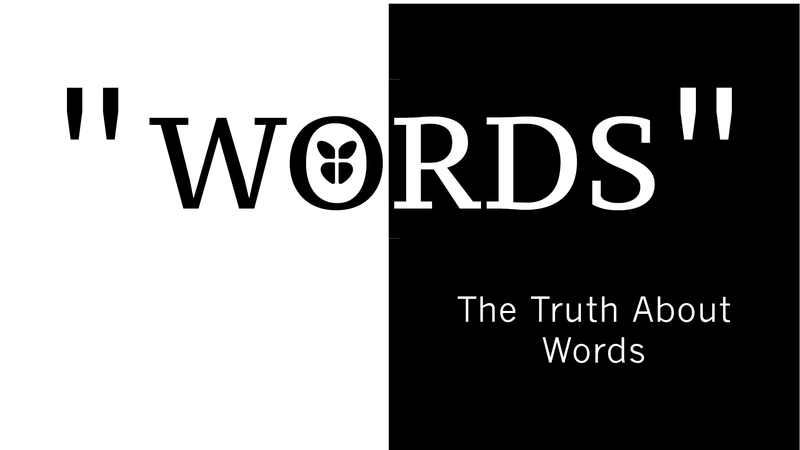 HOW CAN WE SPEAK GOOD WORDS? Always remember that our witness for Christ is on the line. James 1:26. Angry people speak angry words. Bitter people speak bitter words. Critical people speak critical words. We must speak kind words! What can we do to make sure our words have a positive impact on others? Remember the words of Jesus, ‘A good person produces good things from the treasury of a good heart, and an evil person produces evil things from the treasury of an evil heart’ (Luke 6:45). And let’s continue to learn from Jesus! He had a truthful speech, he used gentle, wise, and healing words. His words had a positive impact on others.